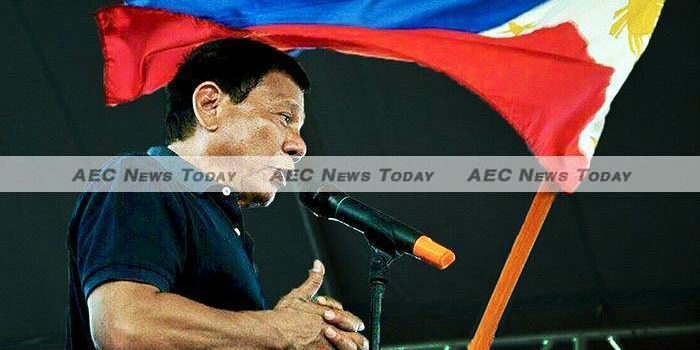 In just over two weeks time Rodrigo Duterte will be sworn in as the 16th president of the Philippines. However, even before his inauguration on June 30 there are increasing concerns that the country is on the verge of slipping back to the dark days of the 70s and 80s when Ferdinand Marcos, Sr., ruled with a bloody iron fist, with talk of a coupe de ‘état, and an alleged bounty for his assassination. That the country faces the prospect of returning to ‘strongman rule’ is somewhat surprising given that figures from the Philippine Statistics Authority (PSA) show that more than 46 per cent of Filipinos are old enough to remember the days of Marcos’ autocratic rule, stagnating economic growth, skyrocketing international debt, and double-digit unemployment figures. 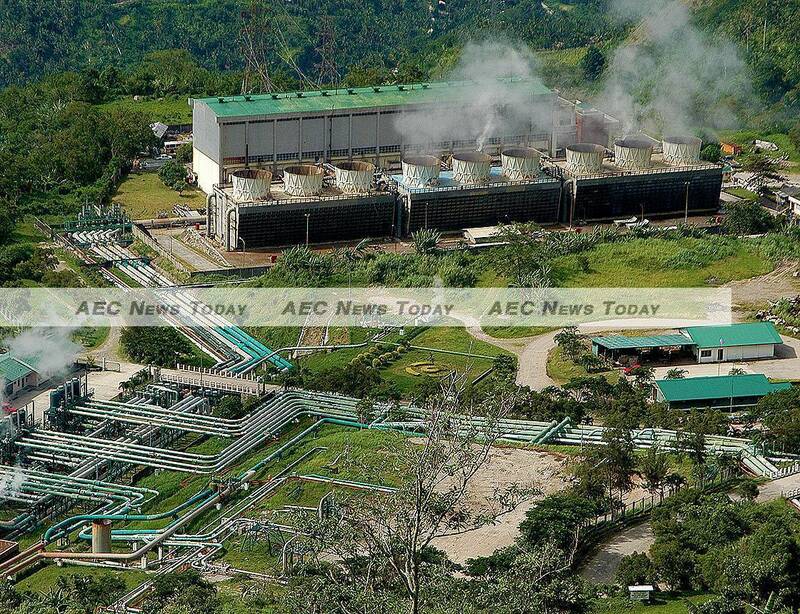 From an annual GDP growth in 1986 of just 3.4 per cent, the weakest in Southeast Asia at the time, the Philippines is today one of the powerhouses of the Asean Economic Community (AEC) growing at 5.9 per cent in 2015 and at an estimated 6.9 per cent year-on-year (YoY) in the first quarter of this year – the highest in the AEC. Likewise foreign investment has risen from just $17 million in 1986 to more than $5.316 billion in 2015, with the trend continuing in the first quarter of 2016 when more than $563.747 million was pledged, a YoY increase of 19.2 per cent. While Philippines GDP per capita (current US$ basis) between 1980 and 1986 under Marcos increased 0.42 per cent on average and sat at US$562 in 1986, The World Bank says 2014 Philippines GDP per capita was more than $2,870, and estimates that for 2015 it was $3,568. From a position in 1986 that saw it the ninth most indebted nation in Asia, Africa, and Latin America in absolute terms and the second among the top ten Third World countries at the time with foreign debt accounting for 94.74 per cent of Philippines GDP, foreign debt today is put at $77.659 billion, or 45.8 per cent of Philippines GDP – a significant portion of which is debt incurred during the Marcos regime and which the country will continue to pay for until 2025. The democratic changes brought about in the wake of the People Power Revolution of 1986 led by the mother of incumbent President Benigno Aquino III, Corazon ‘Cory’ Aquino, have also resulted in significant social improvements. 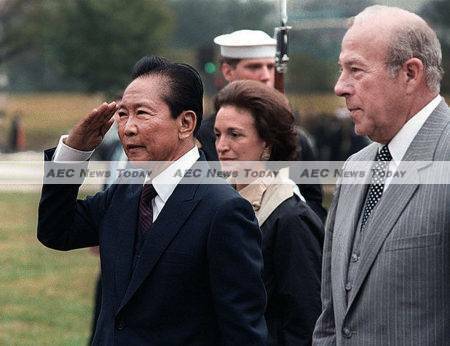 During the Marcos regime more than 50 per cent of the Philippines population lived below the poverty line while unemployed soared to more than 11 per cent and underemployment tripled from 10.1 per cent in 1974 to more than 36 per cent in 1984. Today, at 26.3 per cent, the number of Filipinos living in poverty is almost half of what it was. While Philippines unemployment remains the highest in Asia at 6.1 per cent it is considerably better than the 80’s given that the population of the Philippines has increased by more than 118 per cent, from 47.161 million in 1986 to more than 102.965 million in 2015, during the same period. Although torture, forced disappearances, and summary executions by police and security forces continue to see the Philippines draw international condemnation for its failure to protect its citizens, the 51 cases of torture reported in 2014 are considerably less than the 34,000 cases of torture and 3,240 cases of unlawful death recorded under Marcos by human rights group watchdog Amnesty International. All that is set to change, however, and Filipinos risk seeing some of the liberties and freedoms that their forebears died obtaining vanish overnight, with some officials not bothering to wait until inauguration day to start winding back basic liberties such as the rights to walk the streets at night, or the the rights to a fair trial as proclaimed in Article 10 of the Universal Declaration of Human Rights. At the same time the prudent management of the economy by the incumbent that has seen foreign debt reigned in, inflation kept low, and salaries increase at an average of 7 per cent in the past year are also set to change. At the same time there are reports from the Philippines that over-zealous police eager to crack down on other basic human rights have arrested and dragged children younger than 10 away from adult relatives walking on Manila streets at night. In other locations parents of children found out at night have been jailed. During his election campaign Mr Duterte vowed to impose bans on children walking the streets late-night, alcohol sales, and karaoke. Comments by the president-elect last week encouraging ordinary citizens to shoot drug traffickers if they resisted arrest, as well as a claim that corrupt journalists are legitimate targets for summary execution, has raised the spectre that extrajudicial killings will once again become a nationwide phenomenon earning the president-elect the condemnation of leaders globally. 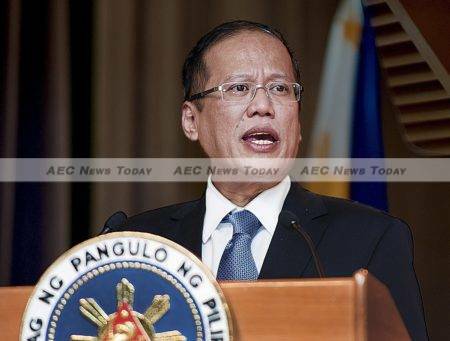 Outgoing President Aquino has also voiced his concerns. “Let us remember that just a generation ago, the Philippine government itself was the one suppressing the freedom of our fellow Filipinos. A fellow Filipino deprived us of our freedoms. It means that if we are not vigilant, this can happen again”, he said on Sunday while addressing a Philippines Independence Day rally. Although vague during the election campaign on how he intends to maintain the Philippines impressive period of economic growth under President Aquino, Mr Duterte has subsequently announced a raft of infrastructure projects, along with a promise to boost infrastructure spending to 7 per cent of Philippines GDP – 40 per cent above the current administrations target of 5 per cent of GDP. Among big ticket projects the incoming president has foreshadowed is the creation of railway systems that will link Manila to three points in Luzon, and a separate network for the whole of Mindanao, where he has been mayor of Davao City for the last 22 years. Having already ruled out public-private partnerships (PPPs) the president-elect has also said “we do not have money for it”, mulling that perhaps some form of joint-venture or special-purpose vehicle established for the purpose of the railways’ construction with China might be a possibility. While the Philippines economic and fiscal fundamentals remain sound continued strong economic growth is expected to see higher borrowings in order to fund the infrastructure improvements the country needs. Ben Diokno, Mr Duterte’s budget secretary, is on record as saying he favours more borrowing to “fund and invest in infrastructure and social capital”, with a budget deficit of 3 per cent of GDP being acceptable. A level almost equal to the 3.5 per cent that the current administration has wound in over the past six years to just 0.9 per cent of GDP in 2015. While some are viewing plans to cut taxes to 25 per cent from the current level of 30 per cent for corporates and 32 per cent for individuals as a potential for increasing consumer spending, others note that the Philippines economy is largely reliant on consumer spending as it is. In a report titled “Philippine Elections 2016: Beyond the Campaign Noise” Hong Kong and Shanghai Banking Corp’s (HSBCs) Global Research notes: ‘While Duterte lacks policy experience in national-level politics, his record as mayor over 22 years does shed some light on the type of policies he might pursue. ‘His most notable accomplishment in Davao was tackling high crime, partly a residue of a communist insurgency in the 1980s. This paved the way for Davao to undergo an impressive economic rehabilitation—attracting significant foreign investment, particularly in the outsourcing and business processing sectors. In recent years, the growth of southern Mindanao (or Davao Region), of which Davao City constitutes most of the GDP [gross domestic product], has outpaced national GDP by a small margin”. For foreign investors Mr Duterte has opened the gate to the prospects of increased liberalisation, with Inquirer.net reporting the country’s power companies have been warned he will open the market to foreign firms to bring cheap and stable power supply to the country if the local utilities didn’t shape up and deliver better services to consumers. “If (the supply problem) remains unaddressed, I’ll invite all foreign investors, including those from Nigeria and Mexico (to come in)”, he is reported to have said. Long criticised for it’s protectionist policies, Mr Duterte has already stated that he is receptive to amending the Philippines Constitution to remove the 40 per cent restriction it places on foreign ownership of companies. 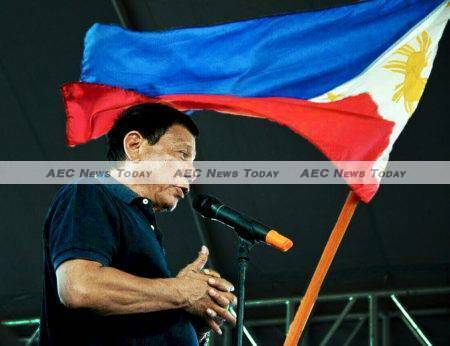 The 71-year-old Duterte has also foreshadowed improved public services, telling government employees the days of holding ‘seminars’, sending employees or local government officials on study trips, and business-class air travel are over. Government clearances for documents, he said, should take no more than 72 hours, while civil servants will be required to perform their tasks with courtesy. High on the president-elect’s hit list is the Philippines Bureau of Customs (BOC), the country’s second largest revenue collection agency, have been told that the corruption that plagues the organisation will not be tolerated under the new president. In addition to putting the president-elect on a headlong crash with the county’s oligarchs with his threat to break up the countries oligopolies, the incoming president has also called out police, prison officials, and high ranking military officials, telling corrupt ones to resign before he takes office and threatening to have Philippines National Police (PNP) generals drug tested in front of him. His ‘take no prisoners’ approach to combating crime, together with his plans to grant a general amnesty to communist rebels have seen criminals place a bounty of more than US$21,000 (P1 billion) on him, while rumours of a coup d’etat, and assassination plots by disgruntled military officers, have been circulating since before the election was held. While president-elect Duterte may feel the Philippines is in danger of of becoming a narco-state, others are concerned it may revert back to being an economically failed police-state, such as it was under Marcos. For the moment the jury is out. Despite inheriting what The Economist Intelligence Unit (EIU) describes as a fairly robust economy, it is forecasting economic growth to slow, predicting “… foreign investors will postpone their decision to enter the Philippines by at least six to 12 months”. Opining that “fears for the future of the Philippines’ political environment under Duterte are valid, but gross economic mismanagement looks less likely, at least in the short-term”, EIUs lead Philippines analyst, Anwita Basu, said Mr. Duterte is likely to be so focused on his internal law-and-order drive that he leaves the management of the economy to advisers and established lawmakers. “His tough-man approach is still likely to retard the development of the country’s institutions, but this will not exert a significant drag on economic growth in the short-term. The most likely scenario, Ms Basu said, was that “the Philippines’ economy will expand by at least an average of five per cent per year between 2016 and 2020. One Response to "Will Rodrigo Duterte Drag The Philippines Back To The Marcos Era?" It is not the President who drags the country it is the unwise voter. Voter who base on charisma and popularity. Voter who can be easily influence and with no stand.